Click Add CTI Link and select JTAPI. 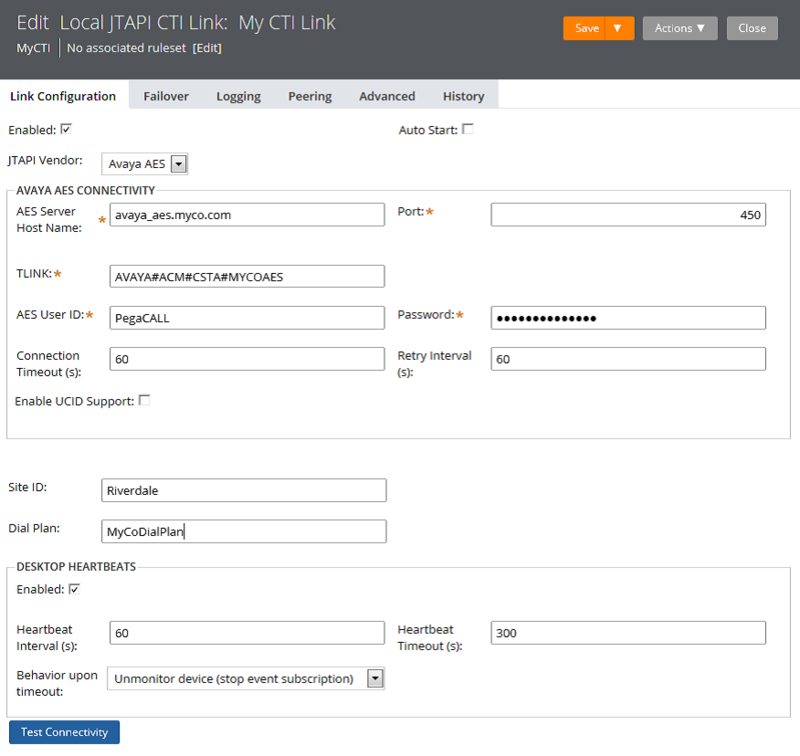 Configure the CTI link by entering information in the following form. JTAPI Vendor – Select Avaya AES to connect to the Avaya AES platform. TLINK – Required. Enter the name of the TLink on the Avaya AES Server. AES User ID – Required. Enter the User ID for the CTI user or connection on the CTI Server. Password – Required. Enter the password for the CTI user ID on the CTI Server. Enable UCID Support – Select to have PegaCALL obtain and use universal call IDs (UCIDs) from Avaya AES. Only enable this option if UCIDs are configured on the Avaya ACD and if you use universal call IDs to track calls between systems. It is recommended that you enable this option to prevent the continued monitoring of devices that are not being used and potential problems with subsequent logins.